Which songs from Jimmy Barnes’s vivid and rich youth formed the cerebral jukebox to his life? Join the rock icon and bestselling Australian musician as he spins 7” records and reveals all to major music buff Myf Warhurst. 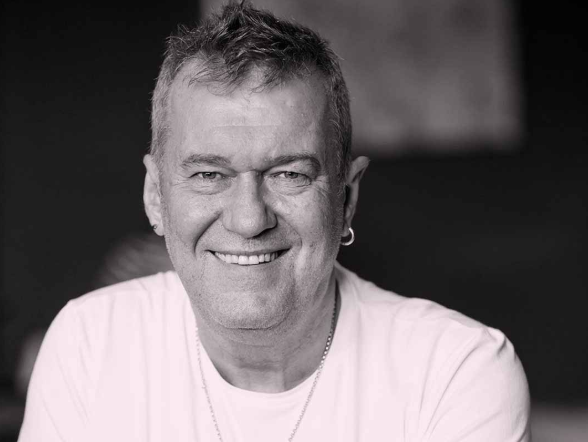 Jimmy Barnes’s bestselling and critically acclaimed autobiographical duology, Working Class Boy and Working Class Man, won back-to-back ABIA Awards for biography of the year. With combined sales of more than 400,000 copies, across all formats, his memoirs have broken Australian publishing records and inspired two award-winning stage shows. Get your signed copy of ‘Working Class Boy’ here.